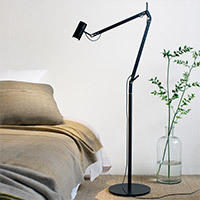 Bedrooms are contemporary sanctuaries of serenity. 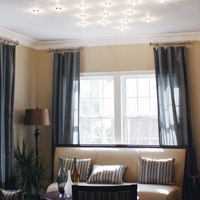 Pleasant dreams are so much easier to come by when you’re serenely enveloped in soothing surroundings, and you’re bedroom should reflect and facilitate that desired state of bliss through the help of well-chosen furniture and lighting. 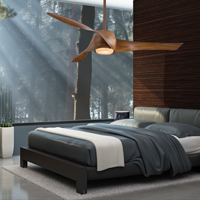 You want a bed (and bedding, of course) that you can luxuriate within, furniture pieces that are woody and warm to complement the bed, and - most importantly – lighting that is adjustable and ambient to support activities from reading to romance. 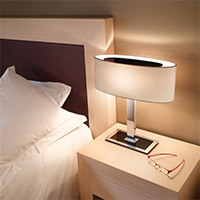 As long as your bedroom lighting can be controlled (via a wall dimmer or on the fixture itself), any combination of fixtures may be appropriate: a table lamp on the dresser, a floor lamp next to the dresser, wall sconces flanking either side of the bed, and a decorative light fixture glowing from the center of the ceiling. 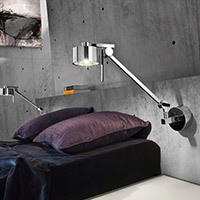 With the amount of reading and working that occurs in today’s bedrooms, task lighting has become an essential component of a good lighting plan. 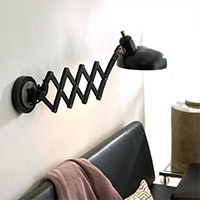 We like the feel and functionality of swing-arm wall sconces that allow for precise lighting placement. 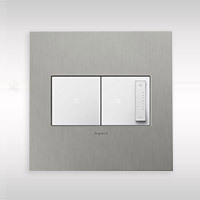 And taking it a step further, plug-in wall lamps are an excellent consideration, offering the same flexibility without the stress of hardwired installation. 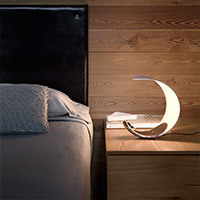 Finally, enhance the ambience with a striking console lamp on the dresser. 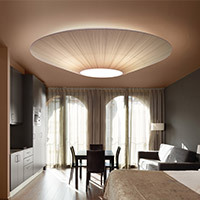 This feature would be more about adding depth and potentially drama to the room rather than a source of direct light, possibly highlighting an object or personal keepsake. 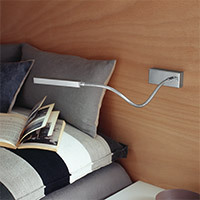 Again, dimmable fixtures encouraged to provide a range of lighting options. Without question, a bedroom begs for a comfortable bed. And at Lumens, the available bed frames couldn't be designed with more precision and use of the highest quality materials. 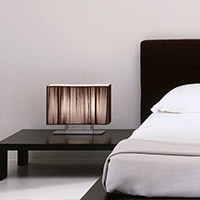 Here you'll find everything from sleek, metal beds to handcrafted wood beds and plenty of plush, upholstered options. Complement your new bed with a pair of nightstand tables and keep the room clutter-free with a clothing dresser. 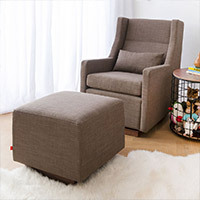 If you don't like reading in bed, you'll find plenty of gliders and lounge chairs that help you catch up on your favorite book or magazine. 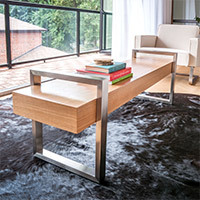 And as a piece of furniture or simply somewhere to toss your things, check out the selection of benches. 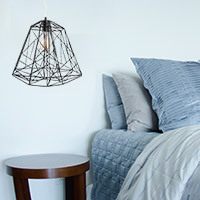 After deciding on the most appropriate lighting and furniture for the bedroom, turn your attention to all of the wonderful ways you can add a personalized touch to the space with furnishings and decorative accents. In this collection you will find all of the linens and bedding you need to dress your new bed, as well as throws and pillows to maximize its comfort. With these pillows and blankets in place, you're guaranteed to have trouble getting out of bed on the weekend. A modern rug goes a long way in tying the room's design together and you'll appreciate the wide area they can cover, making it easy to keep your floors clean (especially if you have hardwood flooring in the bedroom). 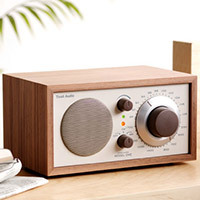 A coat rack further helps to keep the space organized and lastly, look to the assortment of cool radios to accent your bedside tables. If you have the real estate available in your bedroom, keep warm with an indoor fireplace. These modern fireplaces are installed on the wall or stand on their own, and deliver a significant amount of heat, as well as mood lighting. You'll also find all of the tools and accessories needed to maintain a fireplace. Or, if you are trying to achieve a specific mood in the room, why not consider an assortment of candles and votives? Finally, look to our selection of storage and organization designs to ensure your room is tidy and well-kept in a stylish manner.